That’s why we are proud to announce that we have invested in our very first flying drone, a DJI Phantom 3 Professional Drone Quadcopter With 4K Video Camera. 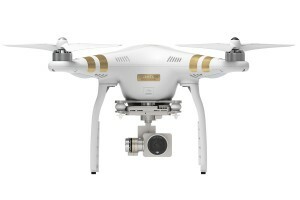 A complete 4K camera and 3-axis gimbal system come integrated with the Phantom 3 Professional edition Quadcopter from DJI. In addition to video, the camera is capable shooting up to 12MP still photos using JPEG or non-proprietary DNG RAW format. The three axes of the gimbal gives pan and tilt control and keep the horizon line level even as the aircraft banks. Different gimbal settings allow the camera to lock onto a fixed subject, be moved manually using transmitter rotaries or the app, or to simply provide camera stabilization. The Phantom 3 Flight Control System Main Controller handles the burden of processing and analysing flight data in real time. It collects data from the entire system, including motor speed, GPS location, command inputs, and data from automatic sensors, and analyses it all to tell the Phantom 3 exactly how to behave at any given moment. The Phantom 3 relies on a GPS-based navigation system to maintain flight stability and provide other features. It has always been Custom Solar’s intention to ‘Turn Chesterfield Green’ and as we are completing another commercial installation, this time on our head office (The Dunston Innovation Centre) we thought it was time to be innovative once more and take to the skies. Watch this space as we complete pictures and videos of clients past and present.